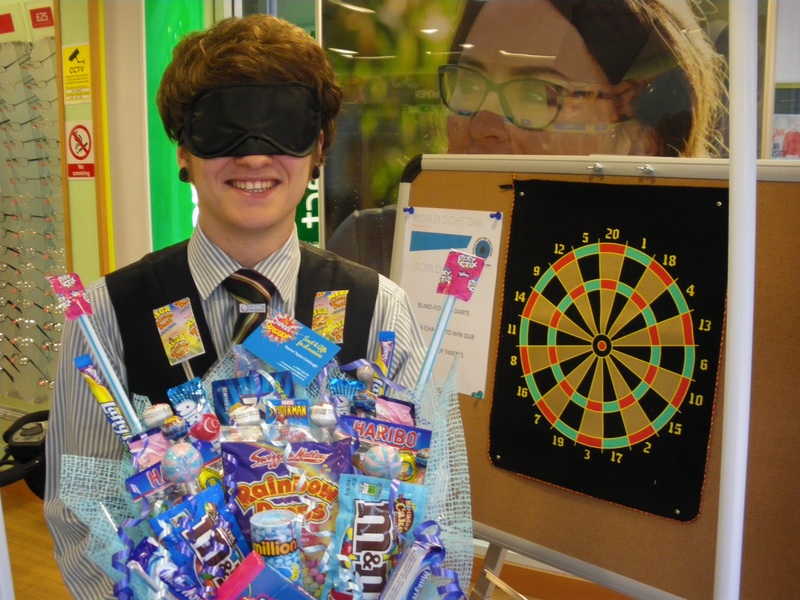 The team at Sutton in Ashfield were good sports and took part in a darts game where they were blindfolded to raise awareness for World Sight Day on Thursday 9 October. 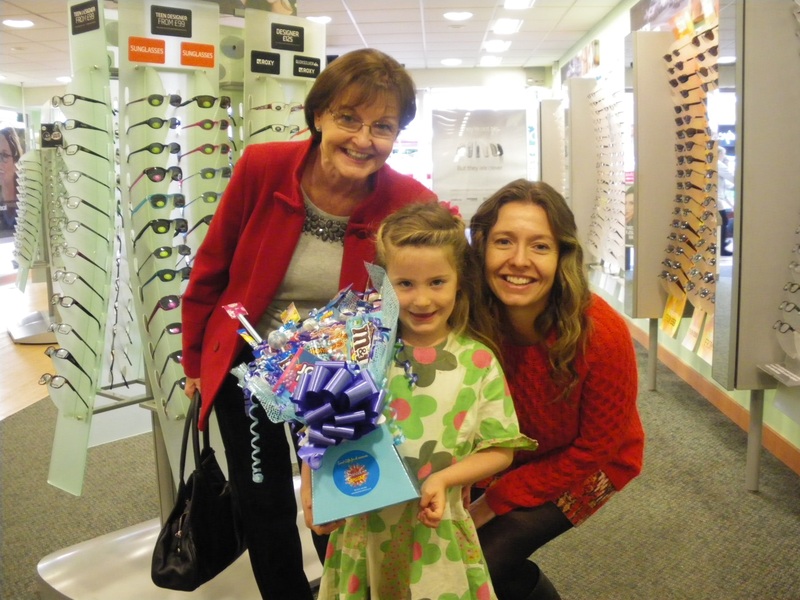 The winner Moira Limb, came into store and collected the sweet hamper with relatives Atiya Farmer and Christie Limb, from Pilsley. World Sight Day is supported across the world by those involved in preventing visual impairment or restoring sight. It is also the main advocacy event for the prevention of blindness. Optometry Giving Sight is the only global fundraising initiative that specifically targets the prevention of blindness and impaired vision due to uncorrected refractive error – simply the need for an eye exam and a pair of glasses.